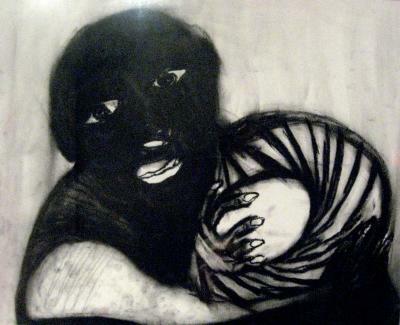 Molly Snyder-Fink, Innocence, Drawing, 12 in X 17 in, 2003. Molly Snyder-Fink, Pianoman, Drawing, 14 in X 17 in, 2005. Molly Snyder-Fink, Internal, Drawing, 14 in X 17 in, 2003.